Rep. Matt Gaetz (R-FL) introduced a resolution on Friday calling for former Federal Bureau of Investigation Director Robert Mueller to step down from his position as special counsel on the probe into Russian interference. Gaetz said in a statement introducing the resolution that new evidence has emerged that the FBI withheld information from Congress about Russian corruption of American uranium companies and prevented a key FBI witness from contacting Congress. “Although federal agents possessed this information in 2010, the Department of Justice continued investigating this ‘matter’ for over four years. The FBI, led at the time by Robert Mueller, required the confidential witness to sign a non-disclosure agreement,” Gaetz said in a statement. “When the witness attempted to contact Congress and federal courts about the bribery and corruption he saw, he was threatened with legal action. By silencing him, Obama’s Justice Department and Mueller’s FBI knowingly kept Congress in the dark about Russia’s significant and illegal involvement with American uranium companies,” he said. “These deeply troubling events took place when Mr. Mueller was the Director of the FBI. As such, his impartiality is hopelessly compromised. He must step down immediately,” he said. Co-sponsors of the resolution include Reps. Andy Biggs (R-AZ) and Louis Gohmert (R-TX). Last month, The Hill brought to light new revelations on an FBI investigation into a Russian kickback and bribery scheme in the U.S. The outlet reported that the FBI began their investigation in 2009 and had gathered evidence of the widespread scheme. The investigation, which centered around a Russian nuclear energy firm, was not revealed to members of Congress, even as the Obama administration approved a deal in 2010 that would allow that firm’s parent company to purchase one-fifth of the U.S.’s uranium assets. Then-Secretary of State Hillary Clinton sat on a nine-member committee reviewing the deal, and during its approval, Bill Clinton received a $500,000 speaking fee from Russian investors, met with Russian officials, and the Clinton Foundation received millions. Clinton aides deny any connection. Since The Hill‘s report, calls for a special counsel to investigate the Uranium One deal has been growing, as well as calls for Mueller to step down. Earlier this week, Mueller unveiled charges for former Trump campaign associates Paul Manafort, Rick Gates, and George Papadopoulos, associated with money laundering, tax evasion, violation of lobbying regulations, and lying. 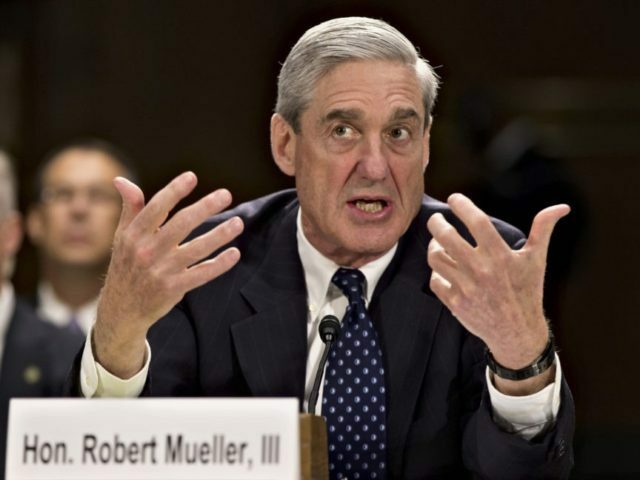 Mueller served as FBI director from 2001 to 2013. Current Deputy Attorney General Rod Rosenstein and FBI Deputy Director Andrew McCabe supervised the FBI’s investigation into the bribery and kickback scheme and would likely have to recuse themselves from any investigation into Uranium One. In July, Gaetz also offered an amendment in the House Judiciary Committee, and a standalone resolution, calling for a special counsel to investigate former FBI Director James Comey’s collusion with Mueller, Comey’s handling of the Hillary Clinton investigation, and former Attorney General Loretta Lynch’s “tarmac conversation” with former President Bill Clinton. Comey had told lawmakers he had leaked one of his memos as director through an intermediary to reporters in order to get a special counsel appointed on the Russia investigation. After the memo contents leaked, Deputy Attorney General Rod Rosenstein appointed Mueller, who has put together a team of lawyers who have primarily donated to Democratic campaigns, including Hillary Clinton’s. “The president is begging us for help,” Gaetz told Breitbart News. “Congress should be doing more to highlight Mr. Mueller’s conflict of interest. “Tax reform is real important, but our democracy is risk if the deep state is allowed to perpetrate the credibility of our duly elected president,” he said.